Scrum or Kanban - What's the Difference? Scrum or Kanban… Which do You Like Better? 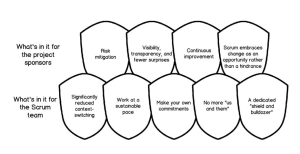 Scrum focuses on being agile which may (and should) lead to improving. Kanban focuses on improving, which may lead to being agile. Scrum is a form of agile that optimizes the estimation and execution of work. Scrum teams work in fixed intervals, known as sprints, which means they iterate on the product frequently. This allows the team to get feedback about each release, and to ensure maximum value back to the customer in the next sprint. 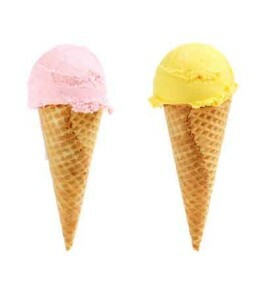 Kanban is a flavor that emphasizes the flow and continuous delivery of work. Limiting the number of items in flight creates an elegant workflow that lets kanban teams manage quality closely and deliver work to the customer continuously. A pull model makes the flow of work visible across the team, and exposes bottlenecks so the team can address them quickly. Both at their core are summarized by the premise: Stop Starting, Start Finishing. Both use visibility and transparency to drive continuous process improvement. Both require breaking the work into pieces. Both continuously optimize the release plan based on empirical data (velocity / lead time). Cross-functional teams optional. Specialist teams allowed. Pre-defined roles of Scrum Master (heat shield/bulldozer), Product Owner and Team Member. Can have separate cadences for planning, release, process improvement. Can be event driven, instead of timeboxed. Team commits to a specific amount of work per iteration. Changes can be made at any time, whenever capacity is available. Uses Lead time (or Cycle time) as default metric for planning and process improvement. No particular type of diagram is prescribed. Uses Velocity as default metric for planning and process improvement. No particular item size is prescribed. Items must be broken down so they can be completed within 1 sprint. Ilan Goldstein has a great image from his book Scrum Shortcuts without Cutting Corners that nicely describes the power of Agile when discipline is maintained and teammates work together as one. I feel it applies to both Kanban and Scrum. Because the team focuses on only a few things at a time, they work well together and produce excellent work. They deliver valuable items sooner. Because they work as a team, they feel supported and have more resources at their disposal. This gives them the courage to undertake greater challenges and overcome adversity. As they work together, they express how they’re doing, what’s in their way, and any concerns so they can be addressed. Because the team has great control over their own destiny, they are more committed to success. As they work together, sharing successes and failures, they come to respect each other and to help each other become worthy of respect. When you create an Agile board in JIRA (Agile > Manage Boards > Create Board), you get to choose between one of two type – Scrum or Kanban – depending on how we want to run the project. What kind of board am I looking at? If you have an existing JIRA Agile board (previously known way back as Greenhopper), you can tell by looking at the top right if you’ve got a Kanban or Scrum version. Note: It is not possible to switch an existing JIRA agile board from one type to another. Fortunately it is easy to create a new agile board of either type and use an existing JIRA filter. Which is “Better” – Scrum or Kanban? Scrum is generally used by development teams who follow a roadmap of planned features for upcoming versions of their product. It sets up a regular cadence. Kanban is often used by teams who deliver maintenance releases. Kanban is also well suited to WebOps, SysAdmin and IT Support teams where frequent reprioritization is need.